So… Im not sure where to start with this. I have seen this book a lot recently, with both positive and negative reviews, and when I saw an Omnibus Edition (the first 3 books) available on the ebook site for my library, I snatched it up. Now that ive read the first book, I cant decide if I liked it or not. The story is about a 17 year old (I think shes 17 anyways) girl, who has serious issues. She sees “Shadows” that haunt her, things no one else sees. Then, after going on her first date, the boy dies in a crazy fire, and everyone thinks she is to blame for it. She gets sent to a boarding/reform school, by court order, and then things get even worse for her. She meets a few people, and of course 2 guys are instantly in love with her, though she doesn’t know why. And of course, she is all crazy for them too, even though she doesn’t know either of them. I gotta say, I wasn’t impressed with any of the characters. Luce is dumb. I mean seriouslydumb. She is at a reform school for crazy and dangerous kids. And yet, when a guy tells her (a guy she has known for less than a week) to get in a car and leave the school to meet him, (at a place she doesn’t even know) she does it. Alone. Without having a way to get back. So dumb. She doesn’t understand anything, though the reader catches on very quickly. She is gullible and naïve! Not my favorite heroine, buy a long shot. Then the side characters… no depth. Nothing. I was not impressed at all. And when I finally started liking Arianne, I found out who she is, and then everything you know about her is false anyways. Despite all of that, about half way through the book it got better. There was finally a little action (very little) and some questions were answered, though only a few. And…for some reason I cant explain, I even enjoyed it a little. More than that, im curious about what will happen next. So, I will start book 2, and hope its better than the first. 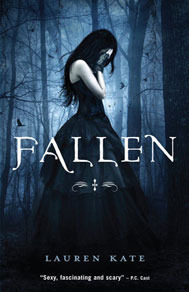 I've just gone back and reread my review of Fallen, because I remember I loved it and gave it five stars. Looking back, I think what I loved the most were the depictions of the settings and the promise it had for the next two instalments. I think Fallen presented a great potential to work on in the following books. However, after reading Torment - which was a big disappointment to me - I agree with your review. I don't even have any inclination to read the rest of the series.